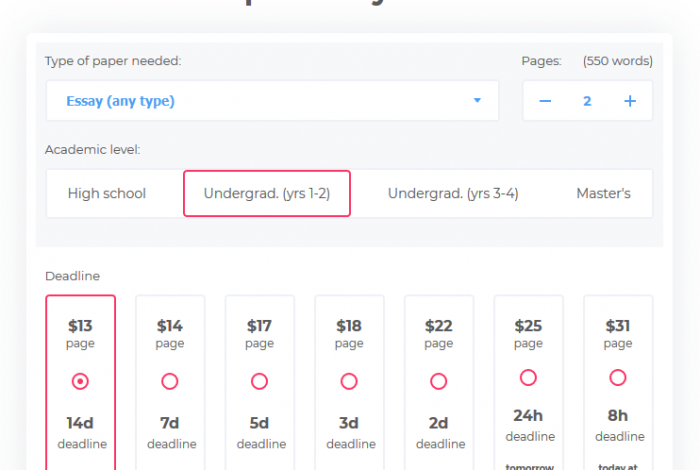 Essayhave.com – High-Quality Writing Service? 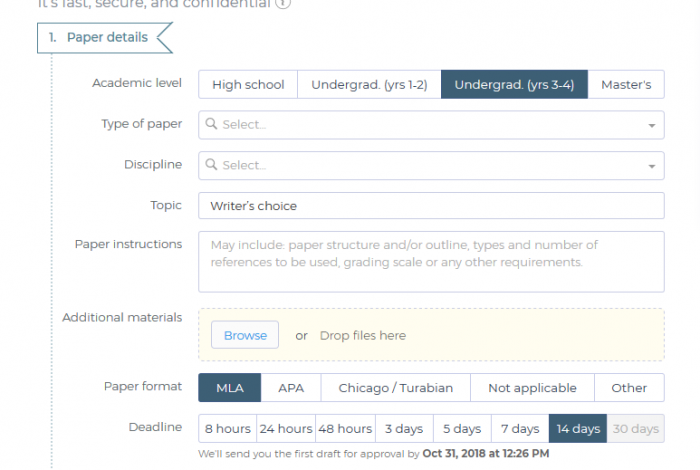 The main question that bothers those who seek writing help is the reputability and quality of the service that offers assistance in submitting assignments and academic papers. 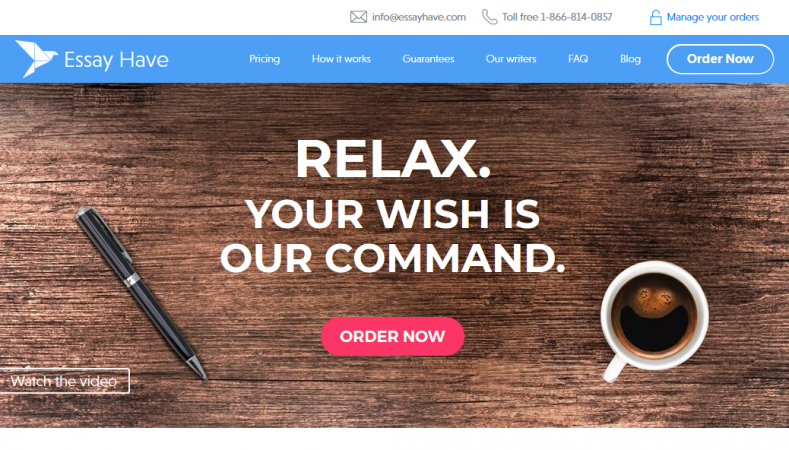 This review provides you with essential information about Essayhave.com for you to be sure that you’ve made the right choice before ordering something. The company claims that there are about 600 writers in their team and they can cope with assignments of any complexity, level, and subject. Sounds impressive, but it is really so? The figure is a bit exaggerated, as well as their qualification. Even though the service states that all their employees are experienced writers with a scientific degree, it is no completely true. Yes, some of them hold BA or MA degree in certain disciplines, but the majority of them are students, who are still studying to obtain qualification and do not have much experience in writing and formatting. The order process is similar to that on other services, but it is more time-consuming. You should fill in a lot of details on assignment and formatting. If you have any problems with the order process or payment, you can write to customer support team. It should work 24-hours a day, but you should wait several hours for a reply. If it is an urgent problem, the solution will not come on time. What is more, do not expect an effective help if your question is about something less common than payment process or choice of the author. Of course, the company boasts plagiarism check and high-quality of the orders, but essays and academic papers prove the opposite. Yes, they check the content for plagiarism with most common free services that hardly recognize it and show that the content is unique. However, try to check Essayhave.com papers with more advanced software to reveal copied content without citation. We have found a lot of review of students that complain about the bad quality of coursework and thesis chapters. There are spelling and grammar mistakes, wrong vocabulary choice throughout papers. Students have also found editing issues. The service claims that “a high price is a guarantee of the high quality”, and its prices are really high. What is more, they have much higher rates for writers that have the proficient command of English level. However, good English does not guarantee the high quality of a paper, if it is written by an amateur scholar without a degree and the lack of knowledge of scientific style. Essayhave.com is the service of contrasts. It offers high rates per page, but the low quality of content on that page. You pay for “native speakers” that make spelling mistakes of beginner level. You should also undergo a time-consuming order process that is not very clear so that you should write to the customer support team to clarify some issues. If you want to deal with such troublesome writing help, that this company is the right choice.